The Sauriermuseum Frick is the only museum in Switzerland that shows a complete skeletton of a plateosaurus found at the clay quary at Frick. 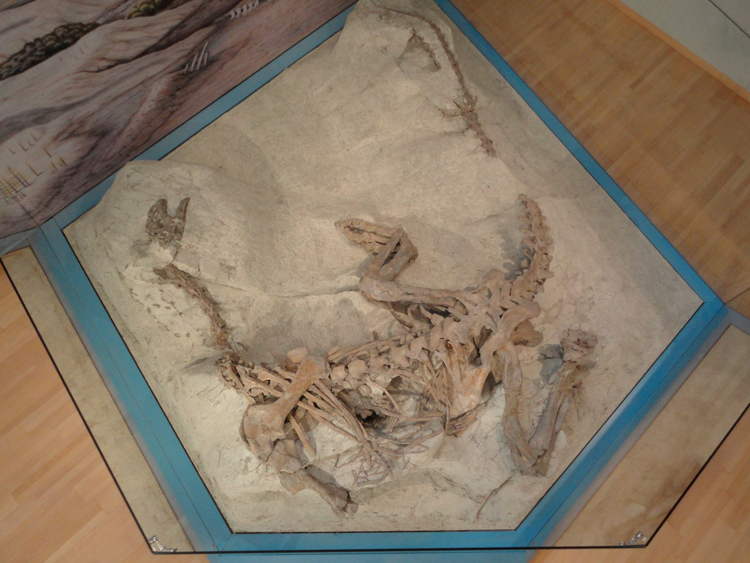 Furthermore it shows the first theropod found in Switzerland and a skeletton of the Triassic tortoise Proganochely - all found in Frick. Besides other fossils the museum shows a new film about the discovery of the dinosaur findings in Frick. A visit to the museum is not only worthwhile for individuals but also for families and school classes. For groups there are also guided tours available at any weekday.